Borderland Beat: “El Chaky” released from jail returns to terrorize La Laguna? “El Chaky” released from jail returns to terrorize La Laguna? It's hard for area residents in La Laguna region not to note the upswing of violence recently, coincidentally or not, it has coincided with the reappearance of Arturo Hernández González, "El Chaky", to the area. The former gunslinger of Amado Carrillo, regained his freedom from a ten-year jail sentence a few months ago. 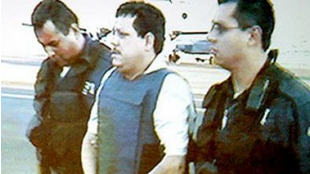 Upon his arrest, federal authorities revealed that the Juarez cartel was fractured and his top leaders worked independently: Vicente Carrillo Fuentes (brother of Amado Carrillo, "Lord of the skies" ) and Vicente Carrillo Leyva (son the deceased drug trafficker) now headed a fraction, while another was directed by Ismael El Mayo Zambada. 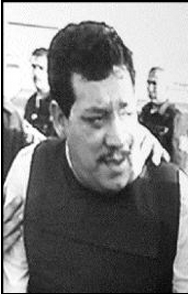 Arturo Hernandez as the enforcement arm of cartel was found to be involved in the deaths of protected witnesses,Tomás Colsa, Jaime Olvera as well as comandante Juan Carlos Ventura. record shows he served until 1996 as a commander of Groupo Palma part of defunct Federal Judicial Police and after leaving their ranks, he devoted his time to the Juarez Cartel. El Chaky was directly linked with the Juarez cartel. In his own words, "I met Amado Carrillo Fuentes and his brother Vincent at a horse race in the city of Chihuahua." After that meeting he worked directly for the late Lord of skies, and after his death he became the confidant of his brother Vincent, but also the main hit man and head of the safety cell of the organization. Reports given to the PGR, by several witnesses tell how Vincent Carrillo-the bloodiest of the family ordered people taken to the grave. It is alleged some were buried alive by both "El Chaky" and Carrillo, making them burn off their fingertips first. According to the military, " he used to entangle his victims in barbed wire, and force them into the water and then he'd give them electric shocks." Rivals of the Juarez cartels were buried in narcofosas on rancho la Campana and on el rancho Guillermo which was constructed on the outskirts of Ciudad Juarez to purposely dispose of bodies. 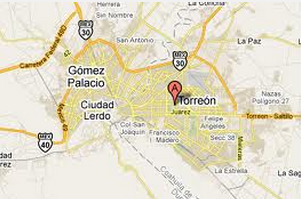 Traitors were kidnapped and ordered killed by the leaders of the Juarez Cartel for betraying them. El Chaky is said to have been linked with the bodies buried at both el rancho Guillermo and el rancho La Campana, where several rivals of the Juarez cartel were killed and buried. After completing the mission of kidnapping Columbian drug traffciker, Ochoa Soto, the moment he was deported from the US, the Chaky was entrusted with the task of assassinating Ochoa Soto's Colombian companion, Antonio Tarazon Navarro. Hernandez Gonzalez carried out the crimes in a place known as 'El Pantéon', within Rancho El Flaco. To do this he used his favorite gun, Colt .38 Super, made of gold and decorated with precious stones in blue, white and red which formed the effigy of the character of Chucky, the devilish dummy, from the popular horror films. Milenio says the main Juarez cartel hitman presumably ordered the doctors who operated on Amado Carrillo Fuentes, placed in cans of cement. Until his arrest in April 2003, the PGR and the Army looked for El Chaky in Guerrero, Veracruz, and Colima. But his retreats were in Gómez Palacio, Durango. It was in Gomez Palacio where Gonzalez Hernandez found the most comfortable of his shelters, nearby where his former chief, Vicente Carrillo had a few residences. Sheltered by the police, Gonzalez Hernandez enjoyed impunity. During the last four years before his arrest, he still preferred not to leave the area that was his refuge. Arturo Hernández González known as the greatest protector of the Carrillo Fuentes, always feared repercussions for the harshness of his violent act and protected himself by proactive information gathering. Hernández González operated in the PGR, Sedena and the PFP. Apparently never lacking in ingenuity, he tapped telephones of many officials who worked in the government institutions. He took it a step further as boss of a counterintelligence group. "El Chaky," oversaw the activities of a ring of spies who performed espionage on SEDENA from an office nearby the Secretaría de la Defensa Nacional. They gathered information ascertaining the next moves the army was planning against criminal organizations in particular the Juarez Cartel, in order to thwart them. The network was discovered in 2002. A federal judge sentenced chief lieutenant of the Juarez Cartel, Arturo Hernandez Gonzalez, alias "El Chaky", to ten years in prison. He was found criminally responsible for the crime of organized crime. The former commander of the Federal Judicial Police became security chief assassin of the late Amado Carrillo Fuentes, "Lord of the Skies". Before his arrest on April 3, 2003 in Gomez Farias, Durango, during a raid by the Mexican Army, "El Chaky" served as lieutenant of Ismael "El Mayo" Zambada. In the structure of the cartel, Hernández González also came to operate laboratories for production of cocaine in Ciudad Juarez, Chihuahua. The drug trafficker was sentenced to serve a decade in prison and fined 6,012 pesos, although in case of "Insolvency" he may avoid paying the financial penalty with 200 days of work for the community. However, given the number of charges brought against him that are pending will define his legal status for drug crimes in various forms, he faces criminal proceedings for weapons and money laundering which could potentially increase the years that he must spend in prison, and for being a kingpin, he may also required for extradition by the U.S. government. Ministry of National Defense (SEDENA), Clemente Vega Garcia, when he released the arrest to the press in 2003, at that time he was classified as "extremely bloody," as the head of Juarez Cartel security and responsible for "eliminating " members of rival groups. Suspect Christian Arturo Hernandez Tarin alias "El Cris" is presented to the media at the Federal Police headquarters in Mexico City October 18, 2011. Hernandez Tarin is suspected to be a leader and founder of the La Barredora Cartel which operates in Acapulco, according to local media. 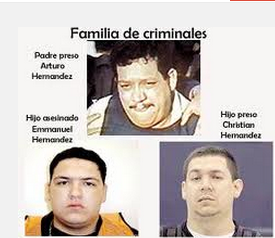 Hernandez Tarin later worked as a hitman in the city of Cuernavaca for Arturo Beltran Leyva, a drug lord who died in a shootout with the army in 2009, and then joined the gang led by Valdez Villarreal. El Chaky is the second high-profile criminal released in the first months of the government of Enrique Peña Nieto, the former was Rafael Caro Quintero, leader of the defunct Guadalajara Cartel, was let out of prison on August 9. However, no one is commenting, Mexican authorities nor those in the United States on the reason for his release. His crimes were included in the list of extraditable offenses since 2007 -Upon his release, the first thing he did was to return to his former sphere of influence. I know viewers will say stuff like why print anything you think is hearsay. But you are the only one I've seen that says that. I read a Spanish version and it is nowhere as comprehensive and they didn't mention that his inentions reclaiming his territory could be hear say. I respect that you don't act like you have a narco crystal ball all the time. BB is responsible. The part that is inconclusive is not really that important compared to all the other facts that are verifiable. So I agree with the comment and also good work, Havana! I checked the sources. This guy definitely has no business being let out of jail. I am just saying. And this story can only give us a whiff of the of the iceberg--as they say! Thanks for the whiff- it was a good one. Who killed his son Emmanuel? Is El chucky still with El Mayo? I don' think chucky is going to quit,he has paid some tax to the devil,except for the rest of it,the devil wants everything!!! However the officer killed him also!! Maybe this super creep turned out reformed or found religion as so many criminals do. I would have thought they might have tried harder to keep a lid on him- locked up tight for a long time. Way to go President Nieto, 1st Azul get caught in his mall, then released. Then Caro Quintero gets released.Seems he in Chapos pocket. On break from work and don't have time to finish this. I wonder if the gold pistol outling "Chucky" in gems, is in the narco museum in DF? El Chucky sounds better than El Chaky everyday of the week! Good story. I never heard of him before. Agree! Very much so. BB keeps it real. I particularly like the gold pistol with the outline in Chucky in stones-ostentatious narcos! Is chaky Hernandez born in Durango or ciudad Juarez ? Durango. He electrocuted people in barrels of water and tubs. He is a complete pig.I hope he just stays inside and mindis own business for the rest of his life. I hope he gets his own terrific death soon!!!! His son Emmanuel seems to have paid for some of his daddy's sins,any info what happened to him? Emmanuel aka pepino got killed by a police officer on a fight with him. 11:53 am. Could not agree with you more. After reading this comprehensive story (THANKS HAVANA.BRILLANT JOB!) my first thought was"WTF? TEN YEARS?". I believed I'd read it wrong. Nope. If I freaking shot anyone and killed them, I'd be buried in some hell hole prison in Texas for at least 25 years.Yet again, be it the US or Mexico, money buys your freedom.What kind of lesson is this to kids? Sure, go be a hitman for some freaking cartel..,..no problem at all. And, we wonder why our kids and grand kids are so messed up.Peace to all innocents who don' contribute to this continuing nightmare,Texas Grandma. So is he with cdj or cds, or is he independent? Cds him still whit el mayo zambada. .
Its "El Chucky" NOT El Chacky. They just can't pronounce it right. Sorry his name is El Chaky in Mexico. It was never el Chucky. He was named after the evil doll but it was always Chaky! That is fact. U ever notice Havana that so much makes no sense in Mexico? I know you have. Thank you. Lots of source material. This man was killing people who were involved in trafficking who could not pay their debts. Wtf is wrong with u people calling him a shitbag and thinking he's doing this for fun? It was his job and if he only got ten yrs for being in organized crime, that means the courts had no direct proof of him doing the killings. That means he was good at what he did in the drug world and president nieto has nothing to do with it ya bunch of jackasses. Burros! On the serious tip, nice job on this article bb. This guy wins the most fu#%ked up old Mexican criminal prize for the week- thus far? "His son Emmanuel seems to have paid for some of his daddy's sins,any info what happened to him?"